Since ancient times, bulls have been central to many cultures around the world. The Lascaux cave paintings, one of the earliest signs of art, depicted bulls, and in the first great work of literature in all human history, the ‘Mythic Bull of Heaven’ was a central character. Below, we’ve put together a bull tattoo dictionary, spelling out the meaning behind each one of these tattoo designs. 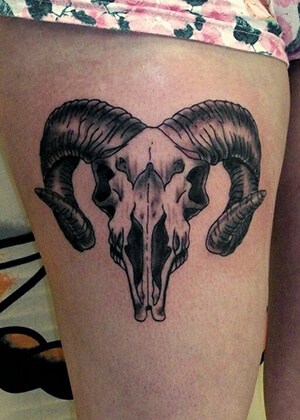 Bull Skull: in Native American folklore, the bull skull was a symbol of life and prosperity as well as death and destruction. Celtic Bull: in Celtic tradition, the bull was a symbol of spirituality and Paganism. The Celtic knots in these tattoo designs represent eternal life. Raging Bull: the rodeo cowboy was known to ride the raging bull, trying to stay mounted as long as possible. 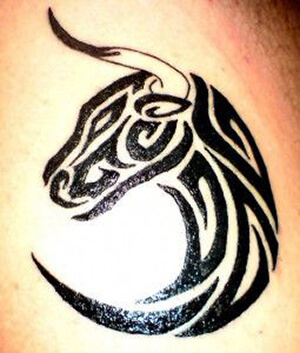 The raging bull tattoo design is a symbol of raw, masculine energy as well as the overcoming of a challenge. 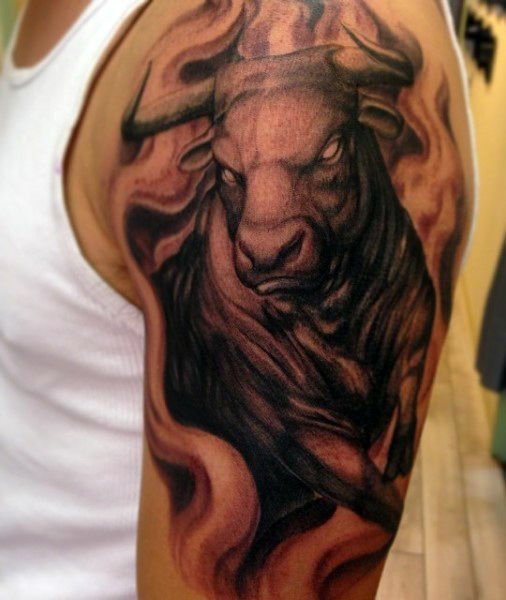 Taurus Bull: Latin for ‘bull,’ the Taurus tattoo design represents power, resilience, and steadfastness. 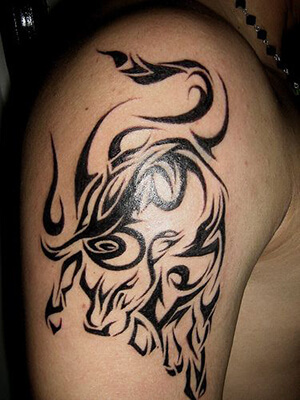 Tribal Bull: the tribal bull tattoo design is a symbol of nature, spirituality, and Paganism. Known for their fierce, resilient nature, bulls have had a special place in the lives of many for centuries. 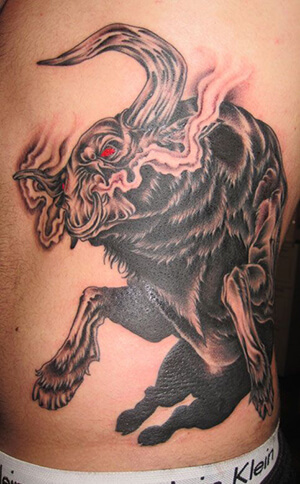 Whether it’s the beast’s unrelenting energy that inspires you, or it’s his connection to nature and spirituality that guides you, the bull makes an outstanding tattoo design choice. 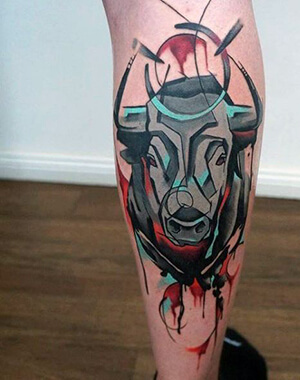 If you know of any other interesting bull tattoo designs, let us know about them in the comment section below!